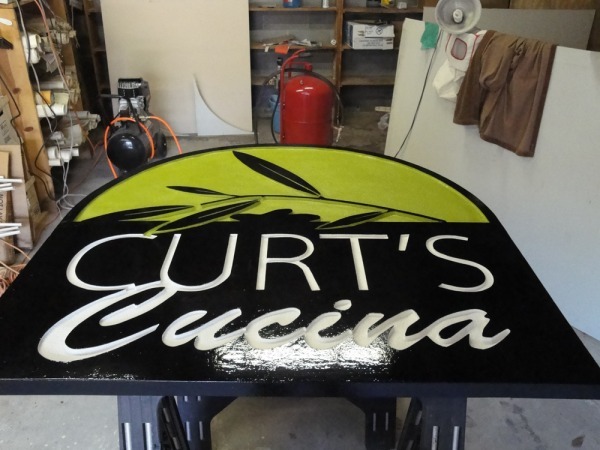 Julie Starling of Moore Copies & Computers in Southern Pines, NC, just finished her very first sandblasted Precision Board Plus sign! 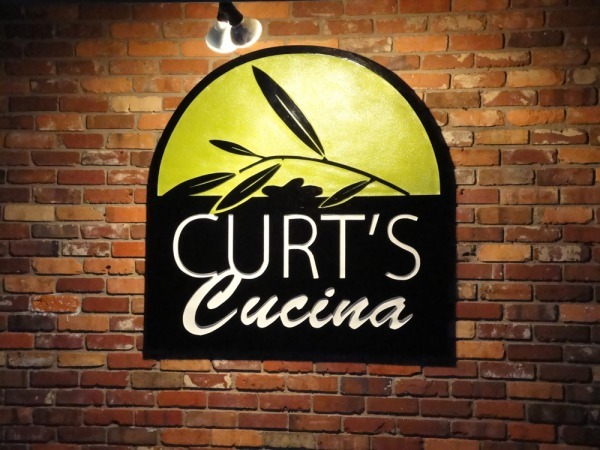 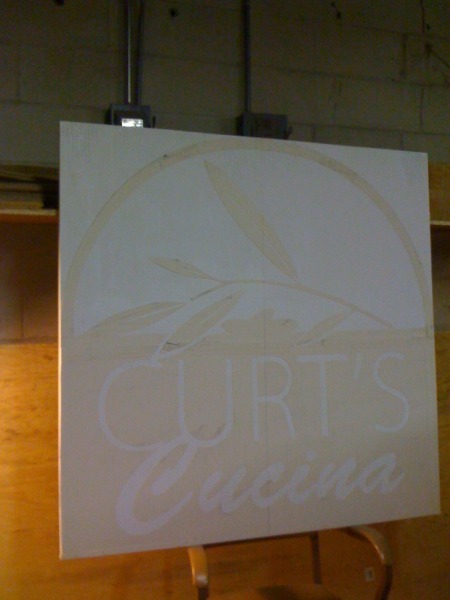 This sandblasted 4′ x 4′ PBLT-15 sign was made for Curt’s Cucina, a local Italian restaurant. 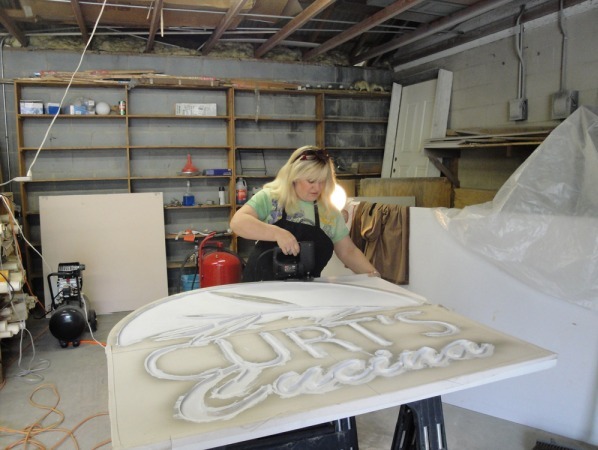 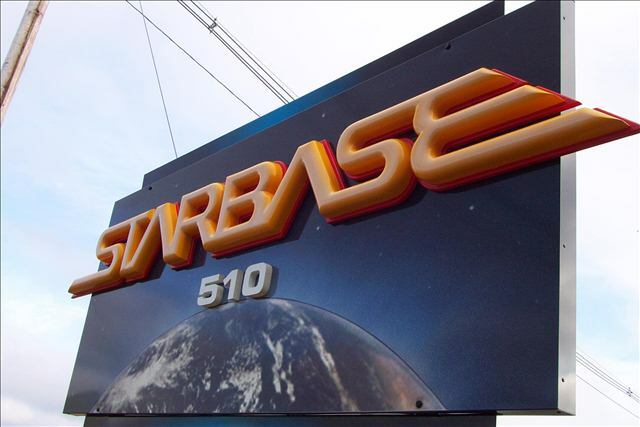 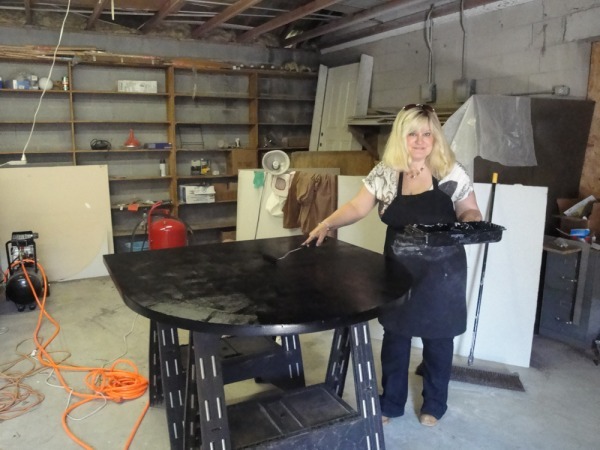 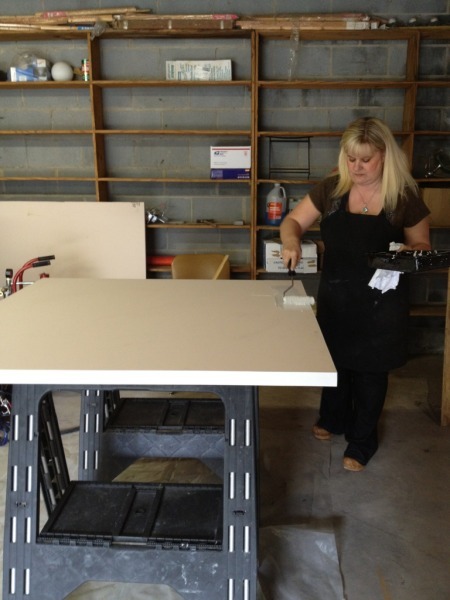 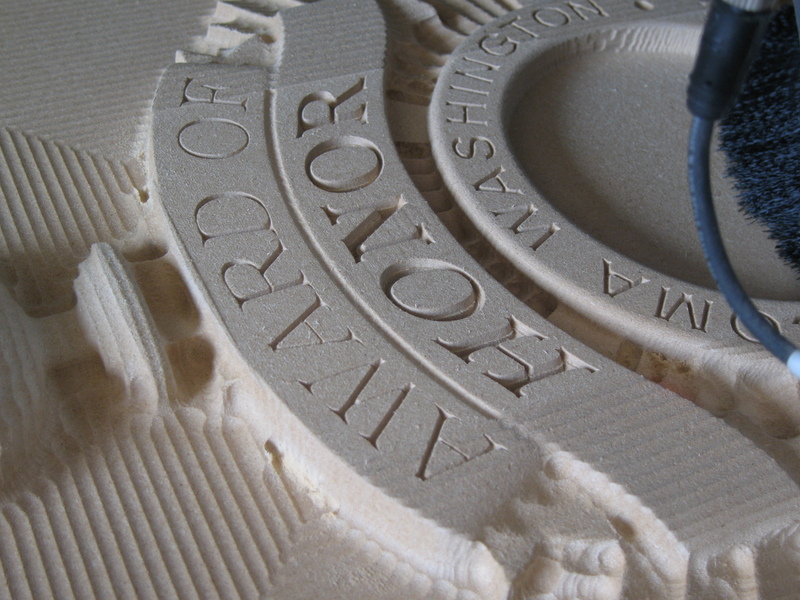 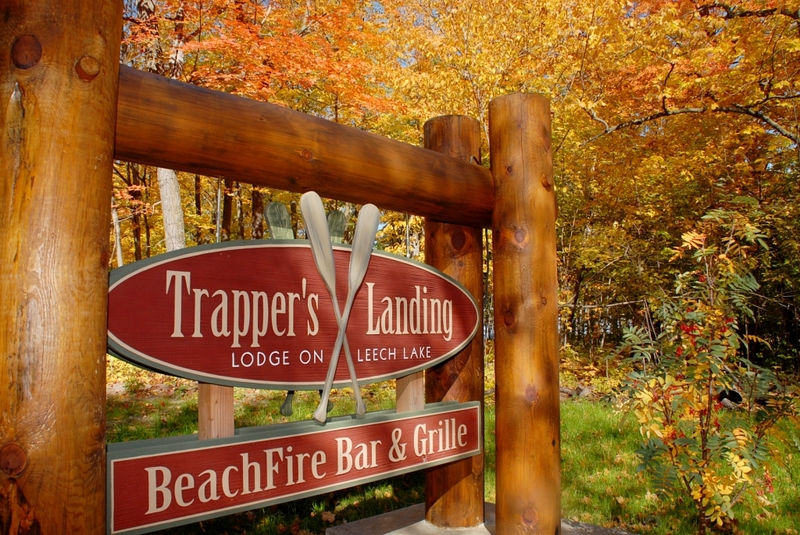 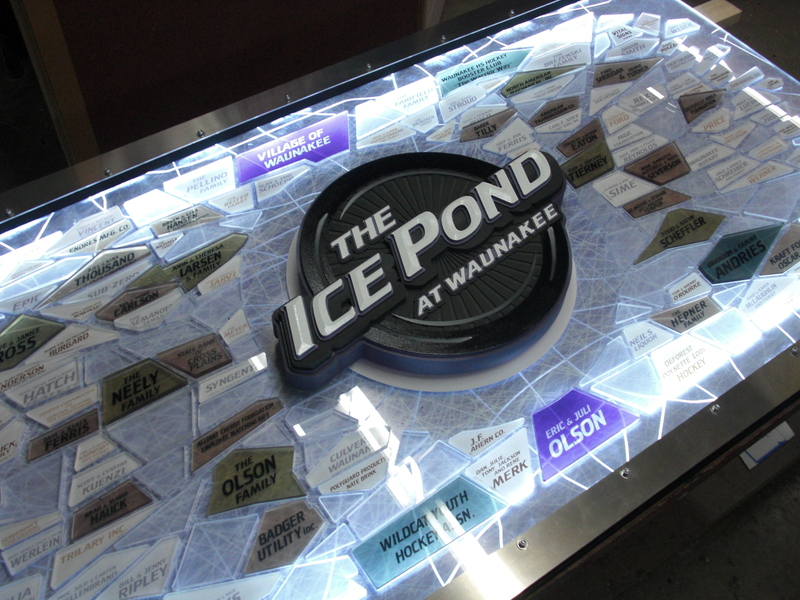 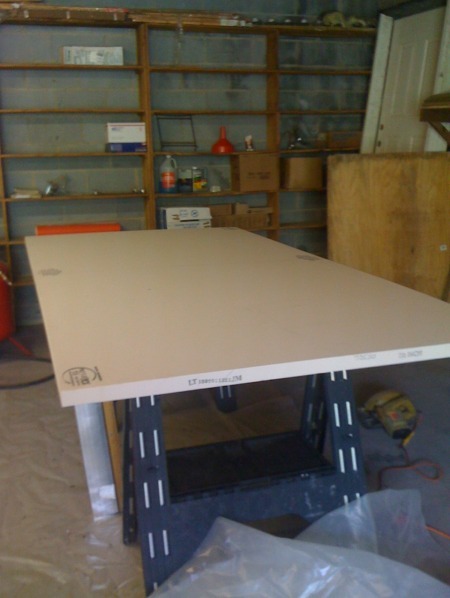 With 9 years of experience using a vinyl plotter, and after watching Coastal Enterprises instructional videos, Julie says that fabricating her first sandblasted sign out of Precision Board Plus was easy and fun to make. 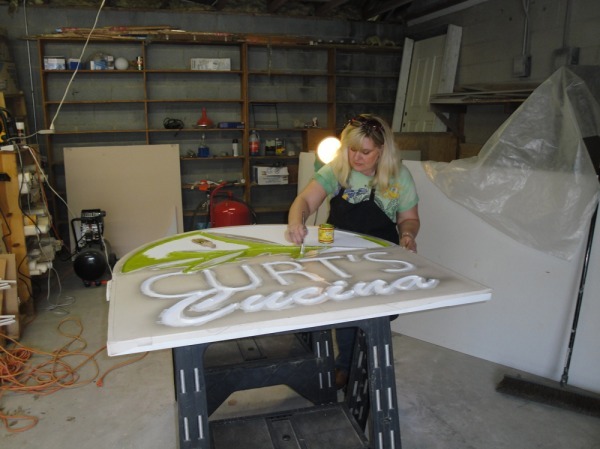 Curt, the owner of Curt’s Cucina, liked the sign so much that he’s already having Julie make another even larger sign for them. 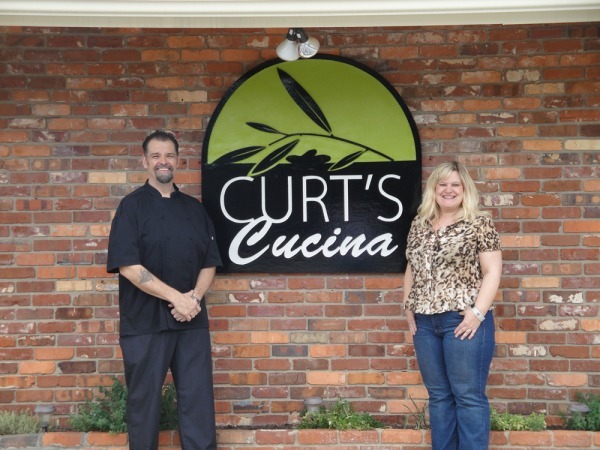 So if you happen to be in the Southern Pines, NC area be sure to stop by to check out the beautiful sign and enjoy some authentic Italian food! 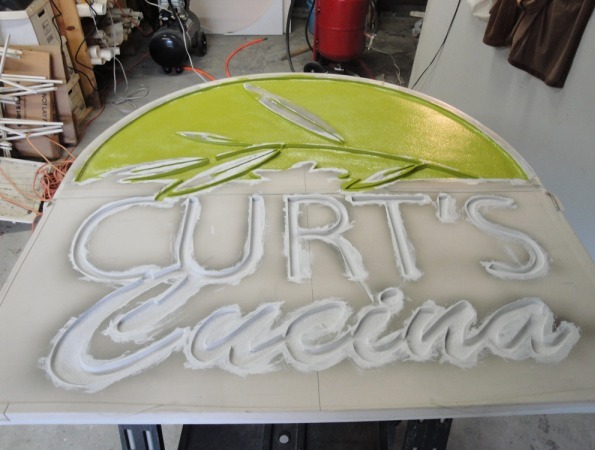 Moore Copies & Computers specializes in all types of signage including vinyl, three dimensional and printing. 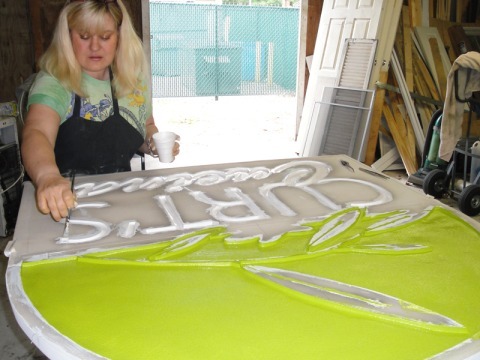 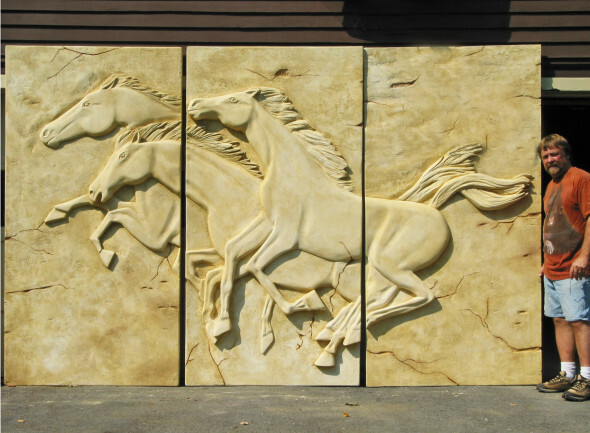 A very talented artist, Julie also makes stained glass windows and does glass etching. 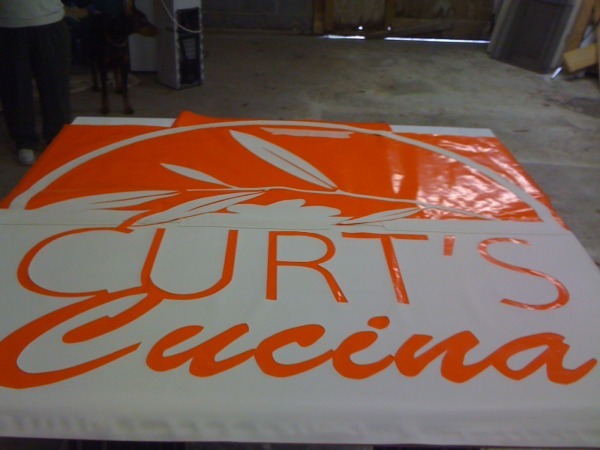 You can see their website here.